Axis Bank has withdrawn its credit limit to some sellers on e-commerce firm Snapdeal's platform over falling sale numbers, a report by a financial daily stated. The private sector lender even asked sellers to repay outstanding loans, an Economic Times report stated. The merchants had availed loans through Snapdeal's Capital Assist programme. 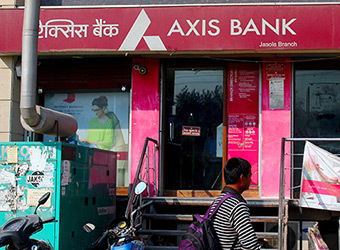 "What we have found is that for some sellers, the transaction flow was not as per our expectations, so as a matter of prudence, the sanctioned credit limit is being withdrawn," said Rajiv Anand, executive director of Axis Bank, told the financial daily. Through the Capital Assist initiative, the Jasper Infotech Pvt Ltd-owned Snapdeal partnered with 27 banks and non-banking finance companies (NBFCs) including State Bank of India (SBI), HDFC Bank, ICICI Bank, Yes Bank, Tata Capital, Reliance Capital, and L&T Finance, Hero Fincorp, Aditya Birla Finance, Lending Kart and Capital Float among others to facilitate these loans. The company claims to have disbursed loans worth Rs 450 crores to more than 2,200 small and medium-sized enterprises in September last year. Snapdeal did not respond to emailed queries at the time of writing this report. Only last month, a group of sellers on Snapdeal approached commerce minister Nirmala Sitharaman to protect their interests due to increasing troubles at the e-commerce firm. The association estimates that in any given month, Snapdeal holds Rs 300-400 crores in the form of outstanding dues and goods in transit or refunds. The All India Online Vendor Association (AIOVA) industry group had, in September 2016, met with the commerce minister to discuss the outstanding payments of sellers after e-commerce firm AskMe shut down. Separately, news portal Moneycontrol reported last month that only 10% of Snapdeal's seller base is active. Many of these vendors haven't sold a single product in the past year. Snapdeal has been deep in the red. Its consolidated loss for the financial year ended March 2016 widened to Rs 3,315 crore from Rs 1,328 crore in 2014-15. Last year, Snapdeal claimed to have about three lakh sellers on its platform. During the annual festive sales last year, Flipkart and Amazon announced several financial incentives to sign up new vendors and also to help the existing sellers stock up on their products in anticipation of a spike in demand from customers. However, VCCircle had reported that these initiatives had received lukewarm response from sellers due to high interest rates and the distrust towards banks as well as the facilitators.